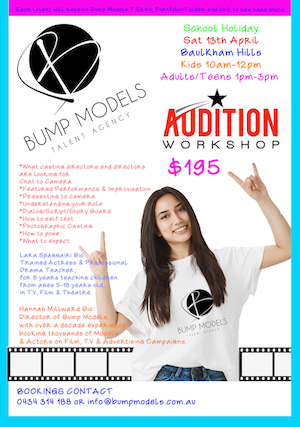 Bump Models™ Australia's only Pregnancy Modeling Agency in the Southern hemisphere. Clinets can book a variety of Models from High Fashion to Girl Next Door. Work we get varies from, fashion, lingerie, fitness, advertising, presenting, editorial, TV, commercials, body doubles, extra wok, bit-part roles. 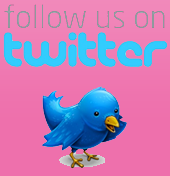 We are especially popular for our Newborn babies, also toddlers, juniors & teens up to 15 years old. Twins and triplets are in demand for regular TV roles. We are not just a fashion Agency, TV & Advertising require many different looks, ethnicity, shapes, sizes, skills, experience, disability - you name it we'd love to work with you. There is nothing more natural than working with a real mother and baby/child this is our niche. Dads are in demand too, all shapes, sizes, ethnicity and age. All you need is confidence and flexibility with work hours to attend the occasional audition and shoot. Mother & Child, Father & Child, Cheeky Bumps creates; Real Families. 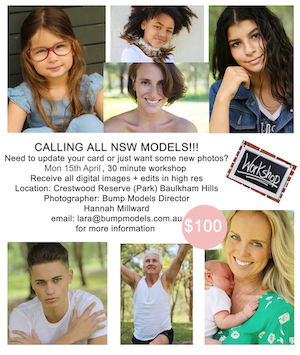 Bump Models™ has become Australias Leading Family Modeling Agency. Muso, Punk, Tats, Quirky, Cool, Skilled, Single, Couples or just your every day person wanting a crack at the industry - we are looking for real talent 'fresh off the street' 15 years and up. If you are new to the Industry and don't know where to begin. We can supply affordable Photographers, Cimemaphotographers, Retouching services and Studio hire. Mobile Hair and Make Up Artist available to assist your shoot, rates can be hourly, half day or full day.